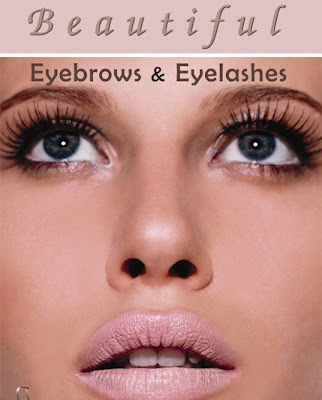 Lush Fab Glam Inspired Lifestyle For The Modern Woman: 5 Ways To Naturally Thicken And Grow Your Eyebrows And Eyelashes. 5 Ways To Naturally Thicken And Grow Your Eyebrows And Eyelashes. To correct this we resort to measures like using glued on false eyelashes, pencil fillers for our eyebrows, expensive products that promise longer thicker eyelashes but don't seem to do the trick and in desperate times some even resort to tattooed eyebrows. TIP 1: Give Your eyebrows and eyelashes a much needed vacation. Take a break from using glued on false eyelashes and avoid eyelash curlers. Stop over-plucking your eyebrows and go easy on the tweezers there is no need to reduce your full eyebrows to a thin line of hair that you then have to fill in with an eye pencil. TIP 2: Petroleum Jelly Vaseline For Healthy & Strong Hair Follicles. Vaseline has been used for generations to promote strong and healthy hair growth, it's even used on the skin and recommended by hospitals for moisturizing babies. After your nightly facial cleansing routine apply a small amount of Vaseline to your eyebrows and eyelashes then work your tiny hairs into place with your eyelash brush. For maximum effect leave it on overnight and rinse it off in the morning with tepid water. TIP 3: Olive Oil For Shiny Luster & Soft Texture. Olive oil is another natural hair care treatment that is widely used to deep condition, it gives a beautiful shiny luster and soft manageable texture. After your normal facial cleansing routine, apply a drop or two of Olive Oil to your eyelash and eyebrows using a cotton ball, leave on for 5-10 minutes, then rinse it off with tepid water. Like Olive Oil, Vitamin E oil is another great way to naturally strengthen, thicken and grow your eyelash and eyebrows. This nutrient stops hair loss and promotes hair restoration. This is especially beneficial if you have bald spots in your eyebrows. Our diet and the nutrients that we put/or fail to put into our body affects not just our internal organs but also our physical appearance. 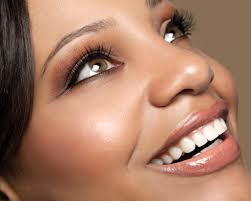 Getting our daily recommended amount of nutrients like Vitamin B and D is a healthy and natural way to ensure that we have optimal growth of strong eyelashes and eyebrows that can withstand the harmful effects of the chemicals in the mascara etc that we use. Click Here for more fab tips like how to get fuller, thicker hair instantly! How do you protect and care for your eyelashes and eyebrows? Share with us by leaving a comment below and don't forget to share these fab beauty tips using the buttons below. You need a like button, great tips! Great post about hair growth. Has anyone in this comment thread practiced the tips and found it to work. I AM a guy and my eye brows are thin and blonde so it looks like I have no eye brows. I didn't realize how bad I looked until it was pointed out to me. If it does work, how long does it take? Are there any products that promote darker eye lashes and eye brows? You can get them tinted at beauty salons ? I am only using brow effect for make my eyebrow thicker. This is great!! I always heard about olive oil benefits. I hope these stuffs will work for me! thanks! Try to use good quality product like brow effect which is make your eyebrows thicker and growing naturally i am also using that product for eyebrows growing really i got good result. Mascara and eyebrow gel, left on eyelashes and eyebrows overnight will damage these beauty treasures and will prevent eyelashes and eyebrows from growing.So, I always remove my makeup nightly before sleeping..
Hi do u know if vitamin e oil works or not? Yes these tips are nice. But we should keep in mind that petroleum jelly is in fact chemical product and olive oil should be tested on you first - some people report about itchy eyes. Castor oil and coconut oil seem to work faster without side effects, and I was using them years ago. For now I chose Cherish Lash serum which is so convenient for my busy lifestyle, and I just love my enlarged eyelashes after.